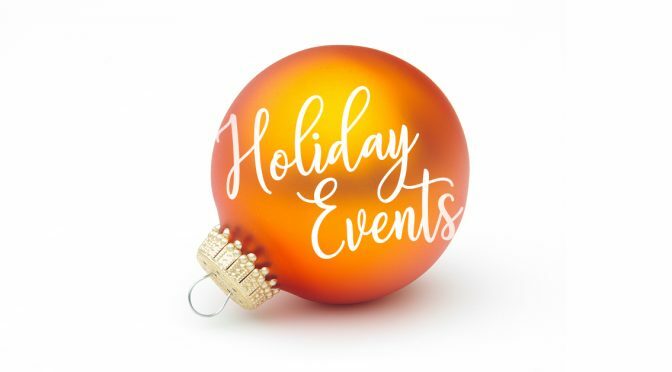 It’s #FestiveFriday here at Boost Creative and to spread some holiday cheer, we’ve comprised a list of some of the special holiday events our clients will be holding in Southwest Florida during the month of December. Fans can bring a stuff animal to toss onto the ice after the Everblades score their first goal! The stuffed animals will be donated to local children’s charities across Southwest Florida. More information. World-renowned organist Craig Williams, brass sextet, flute and percussion join Key Chorale in a holiday program of carols and seasonal music. More information. The Chamber will open its festive offices from 3 pm – 6 pm on Saturday, December 12. They’ll have sweet and savory treats, a sparkly photo booth plus plenty of holiday cheer! More information. Deck the halls with The Midtown Men! Reuniting stars from Broadway’s Jersey Boys will ring in the Christmas season with a show that features songs and stories of iconic classics. More information. Held at the Suncoast Credit Union Arena at Florida SouthWestern State College, the City of Palms Classic is the nation’s #1 high school basketball tournament. More information. This week-long extravaganza features pet adoptions, holiday-themed story times with the Collier County Public Libraries, caroling choirs, children’s activities, plus a visit from Santa! More information. The “most famous reindeer of all” from the longest running and highest rated holiday television special will return live on stage with Rudolph The Red-Nosed Reindeer: The Musical! More information. The Florida Everblades will take on the Orlando Solar Bears on December 22. Postgame will be the opportunity to skate with Santa! More information. The Barrel Room at Twisted Vine Bistro is holding a New Years Eve Party starting at 9pm. There is no cover charge and Will Phrang and the Good Land Gang will be performing. More information. We are Southwest Florida’s proven design resource for digital and print marketing for over 15 years. Our specialties include corporate identity, advertising campaigns, website development, and content marketing. We also offer a range of other services including marketing consultation, print production, search engine marketing (SEM), and social media marketing. Our team is composed of creative minded, forward thinkers. With solid multi-industry experience and a foundation in education…we are the real deal. We serve businesses all over the country and are the chosen outsource option for many other advertising agencies and marketing consultants. Learn more about who we are. Interested in working with us? Send us a message or give us a call!